Failed to set the sealed cover. Aggregate, cement and sand leakage into the interior the brake. Concrete mixer brake clearance is larger, which leads to the separation of brake disc is not flexible, increasing the equipment wear and tear. We are specialized in the production of concrete mixer and has an extensive user base in the country, enjoying a high popularity. Some products are exported to Vietnam, Laos, Kazakhstan, Mongolia, Russia, Cuba, Brazil and other countries, being highly praised by foreign friends. 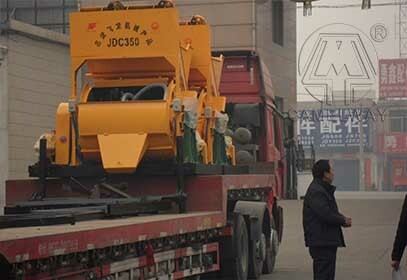 If you want to know more information about the concrete mixing station or buy it, you can contact us.